First Direct is reacting to fears that contactless card payments could be made by mistake by advising customers that it is better to remove cards from wallets when making payments. Cards with contactless payment functionality allow consumers to make payments of up to £20 simply by putting cards within 5cm of a reader. The bank said there is a danger that money could be taken from the wrong card if the card being used is not removed from a wallet to make the payment. There have been cases of people rubbing against readers and making payments by accident. According to The Telegraph, the bank wrote to customers and said: "…we have made changes to clarify that if you have a contactless debit card you must remove it from your wallet or purse before using it to make a contactless payment." 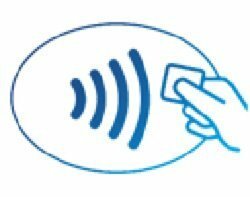 Some 5.3 million contactless transactions worth over £39m were made using Visa contactless cards in March 2013 as more retail outlets and transport services adopt the payment option.